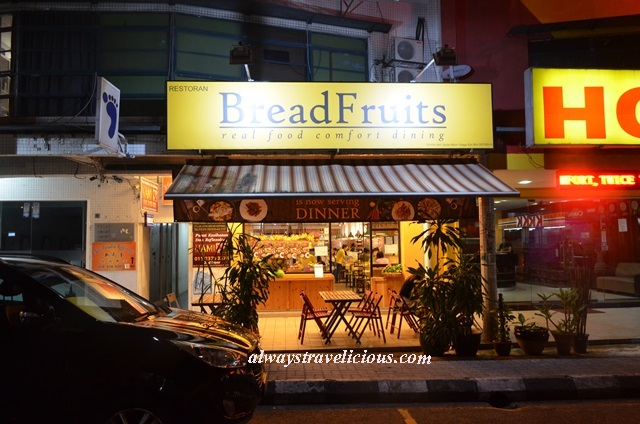 BreadFruits @ Sri Hartamas - Always Travelicious ! 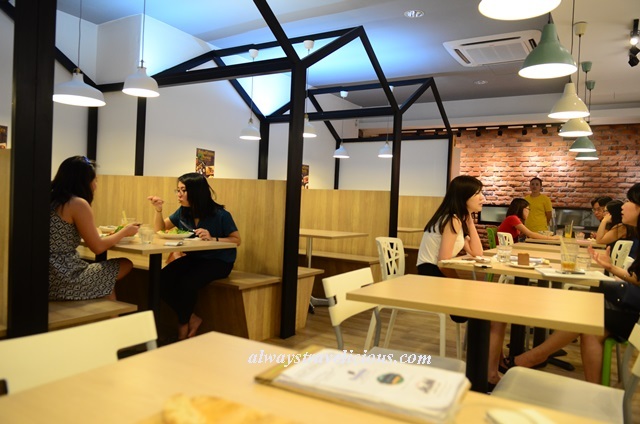 BreadFruits @ Sri Hartamas serves gorgeous dishes with the use of abundant vegetables, herbs and fruits. It’s recently got an all new dinner menu (served from 6 pm – 10 pm) that’s nothing but stunning. 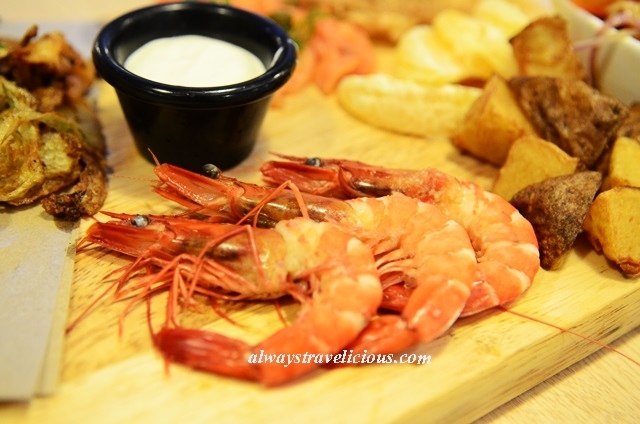 The beautiful Seafood Platter (38.80) boasts of handsomely-crafted ingredients comprising of smoked salmon garnished with capers + dill, basil clams with a drizzle of olive oil, fennel-fried calamari with wild honey cider cream, prawns, fried potatoes, cherry tomato salad, bread and orange slices. Even the mayo is top-notch; not heavy like the typical ones, but more of yogurt-based with a lemon-y flavor. 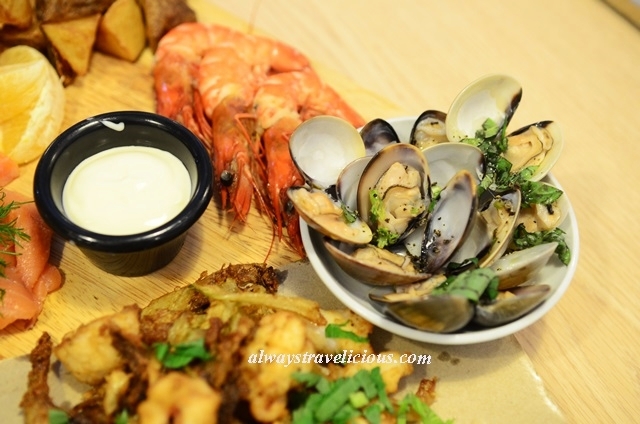 The wholesome seafood platter manages to be rich in protein, generous in carbohydrates and adequate in fruits, satisfying the food pyramid on one platter. 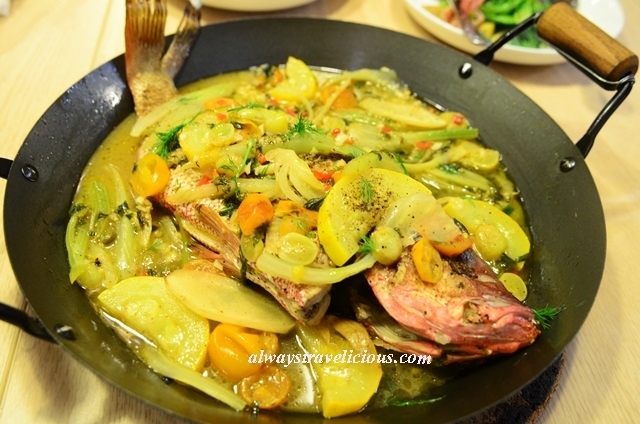 Sicilian Whole Snapper with Tomato & Grape (RM 52.80) – possibly the most vibrantly colored fish dish ever with a rainbow of colors with the red from the snapper, the yellow from the zucchini, the orange from the cherry tomatoes, and various hues of greens from the capers, celery, grapes and dill. The flavors are complex too where the flavors cohered incredibly for an out-of-this-world kind of sweetness from natural ingredients. 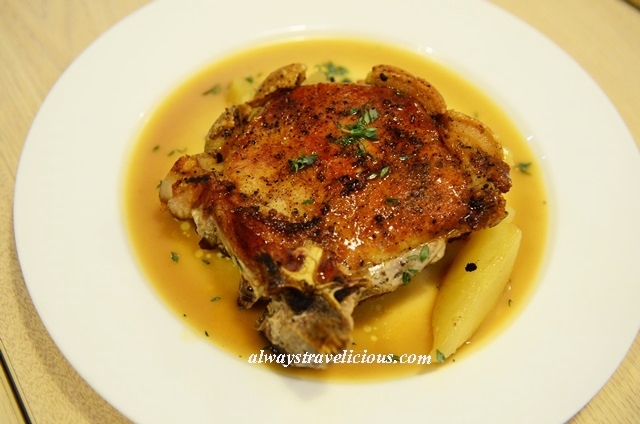 Wild Honey Apple Pear Pork Chop (RM 32.80) – unbelievably succulent, masterfully paired with sauces reduced from apple, pear, honey cooked in cinnamon and star anise. It may seem there’s only one piece of fruit on the plate, but as you work your way through you’ll find that most of it is hidden underneath the pork. 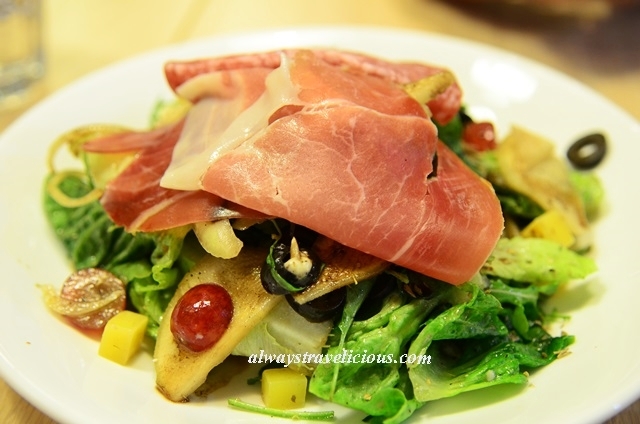 There’s a good selection of dinner salads that might make you seriously ponder about your ultimate choice because all salads sound so good from the menu. Should you take the Kachin’s Squid Salad inspired by BreadFruits’ Myanmares kitchen crew (RM 23.80), or the Rosemary Cajun Chicken Caesar that gives the classic Caesar a twist (RM 21.80), or that salad with fennel, sweet pea, asparagus and mint pesto (RM 19.80) ? 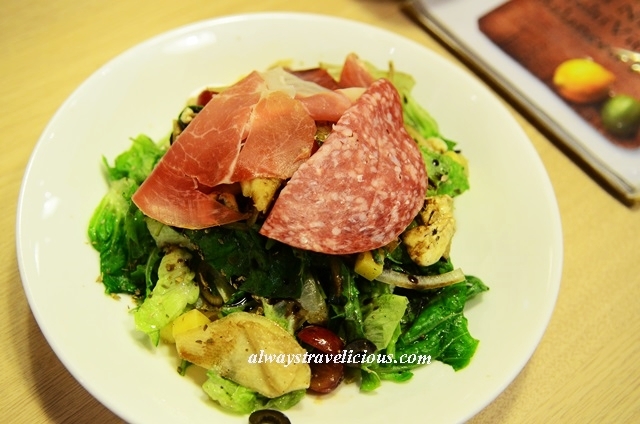 After some hard-thought considerations, I chose the Proscuiutto + Salami Salad (RM 24.80) with a gazillion ingredients – aged cheese, grapes, capers, olives, pears, onions and herbal balsamic dressing. When gazillion amounts of superb ingredients are tossed together, the resulting salad is inevitably marvelous. Pasta is served all day. 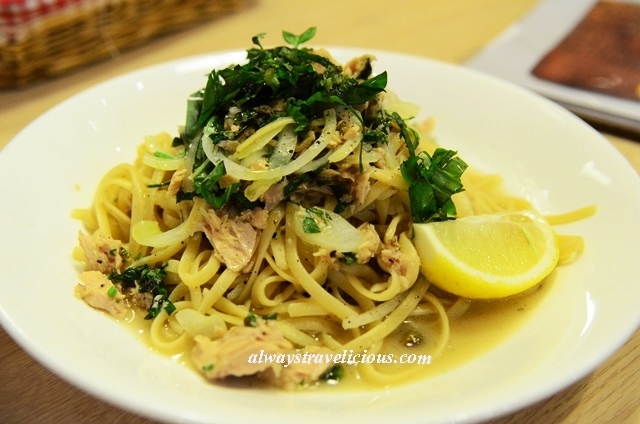 Chardonnay Tina Basil Pasta (RM 20.80) might make you wonder how much chardonnay actually goes into that pasta. Fret not, the chardonnay is the key ingredient that gives this European inspired pasta a punch. 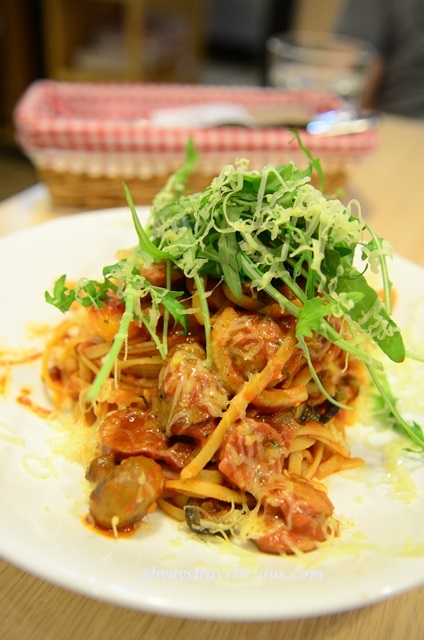 The Tangy Tomato Chorizo (RM 22.80) promises a tantalizing feast, dominated by copious amounts of mushrooms, chorizo and olives, topped with a mound of rocket + shredded cheese. The Salted Caramel Chocolate Cake (RM 13.80) has just the right amount of sweetness though the cake body could have been more intricate. Other items on the dinner menu includes Spanish Gremolata Slice Beef with Jalapeno & Avocado (48.80), Basil Mint Pesto Sirloin Steak with Grilled Watermelon Salad (RM 48.80), Sicilian Butcher’s Clam Stew (RM 33.80), Lemon Dill Seafood Stew (RM 34.80) and a range of paellas and rissotos (RM 20.80 – RM 44.80). 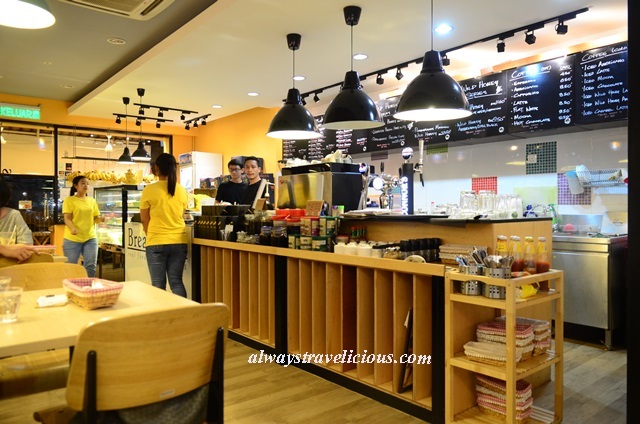 BreadFruits Cafe’s interior is warm and inviting. 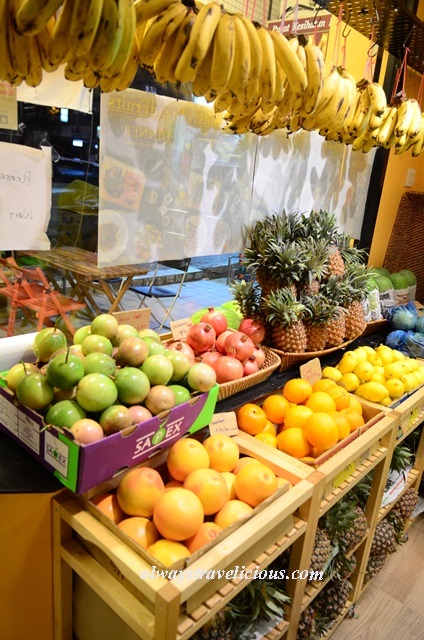 Plenty of fruits and a variety of wild honeys are showcased near the entrance, not only for sale but also displays the natural ingredients that the cafe uses. 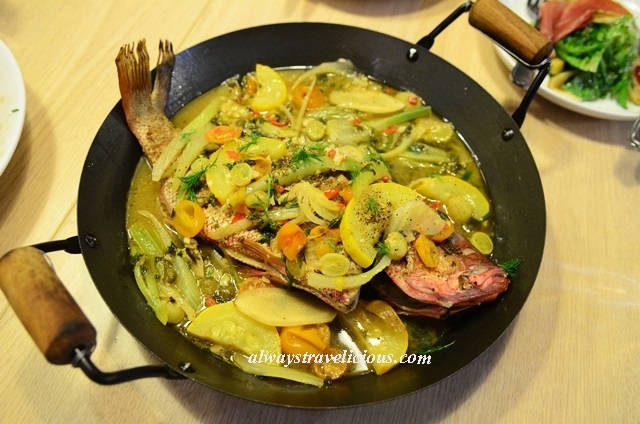 Address : 17, Jalan 26/70a Desa Sri Hartamas. Opening Hours : Mon – Sun. 8.30 am – 10 pm. Looks like a lovely restaurant where the food speaks for itself. I like its name too! Love Breadfruits! Just had dinner there the other day and the food was awesome!